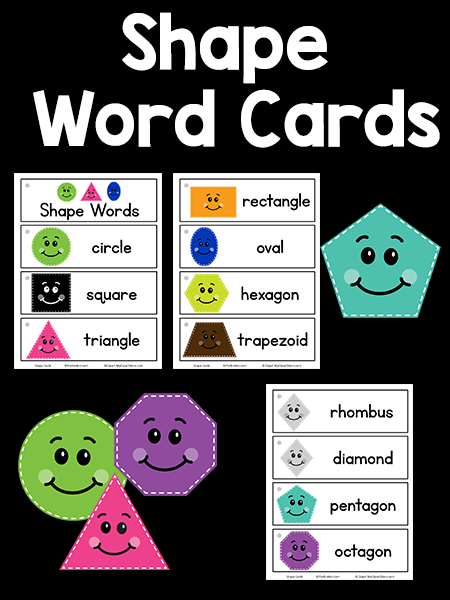 This set of Shapes picture-word cards can be used in your classroom in so many ways. My Picture-Word Card collection is growing and growing, but until today was lacking a set of Shapes! This set includes probably every shape you could need, and I included a card for diamond and rhombus so you can choose the one you prefer. I put the picture-word cards in a pocket chart near my writing center. My prekinders are encouraged to take them out of the pocket chart and take them to the table if they want to copy the words on their paper. The children know to return the card back to the pocket chart when they are finished. They can also use the cards to spell words with magnetic letters or letter tiles. This time, I have made a new set that has a dot in the upper left hand corner of each card. You can punch a hole in that dot and hook the cards together on a metal binder ring. 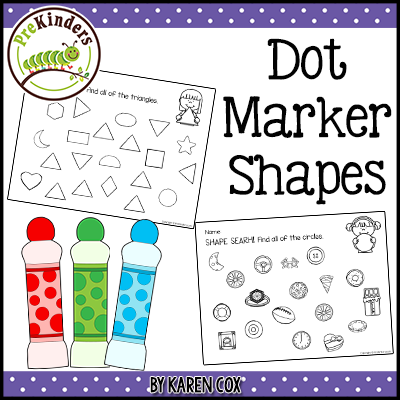 (You could also leave the hole unpunched and use these in a pocket chart.) The cards are also a different size than the others I’ve been making. If these cards with the punch hole are popular, I would like to add this style to the other sets. This printable uses graphics licensed by MyClipartStore.com. Too good!!! I love your ideas, very helpful. Thank you! Glad to hear it! I will try to get the other sets done in the medium size, too. I like the medium size cards with the hole punch as well. Thanks! Thank you for all your great ideas and free products. These are just what I need for tomorrow – Awesome! thank you so much I love your ideas. I really like the idea of these cards. However, on the medium size cards, you have reversed the shapes with the words “circle” and “oval”. There is an oval by the word “circle”, and a circle by the word “oval.” This is the first time I’ve seen a mistake on your site in all the years I’ve been reading your ideas! I think you should check again. 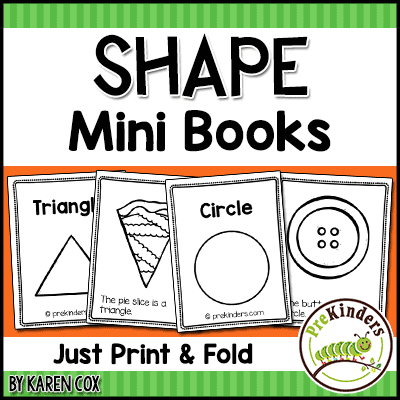 Those are the correct names for the shapes. It is not a mistake. I commented on the reversal of shapes for the words “circle” and “oval”. It seems that this mistake is not just on the medium size cards, but the other sizes as well. Oops! See comment above. There’s no mistake. Just perfect! Thank you so much for the bright ideas. All set for the next week’s activities. Very Nice thanks! I printed the Medium with punch holes, but a lot of space was wasted on the paper. 4 could have went on 1 page. Tina, sorry but I don’t understand the comment, since there are 4 per page. Hi. I’m sorry, that comment was meant for the Color picture with words Medium cards. Oh I see! Thanks for clarifying. Many of the word cards were made in a larger size, such as the Color Word Cards. I have only recently started making the medium size cards that have 4 per page. I plan to go back and re-make all of the other cards in the medium size with punch holes, but that is a huge task, so will take me some time to do. Thanks, I appreciate the feedback! Hi Karen, I’m absolutely excited to have stumbled across your website. 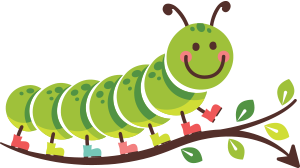 Amongst all the websites that I have viewed, yours seems to have hit the spot (most helpful) for my preschools. 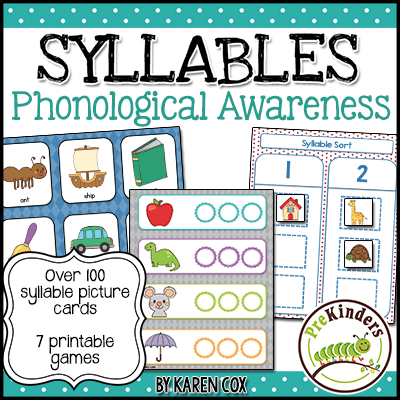 Is your word/picture cards available for print? Every time I attempt to download, I get a message that the author does not give permission for content to be used. Karen, do I purchase them in order to print? How do I retrieve them from your site in order to print them because once I click on the Medium Cards with Hole Punch it automatically sends them to download. Maybe I’m doing something wrong. Can you advise me? Thanks for your cooperation and willingness to share! Hi Erica! These are free – you don’t need to purchase. It’s probably an issue with the browser you are using, but if it sends it to download, then you can find it in your “downloads” folder on your computer. Just pull it up there, and print. I’m so glad I found your page. Thank you for making the word cards available for download. Being able to print these out has helped me stay on top of my word wall. 😉 Plus they are pretty to look and and my students love them!